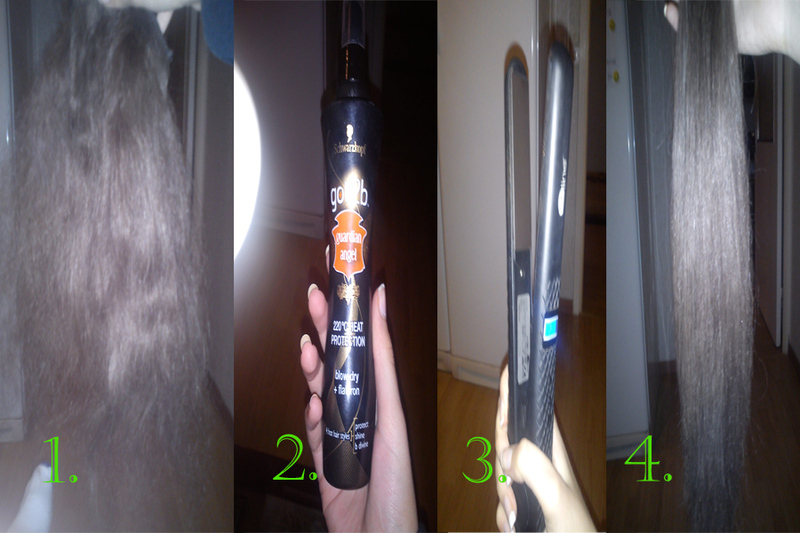 Here is some hairtips for you guys. This is what I did after being at skrillex concert, my extensions fell off and my hair looked like a mess after a hard long night. 1. This is how my hair looked like after I just combed it out. It looks like a hairball that a kitty cat throw up or something.. I just combed it out, so hehe..
3. Take your flat iron and use it. Flat your hair extensions throughly, remember that your hair is protected from the heat, but I always have low heat when I flat iron my extensions, because they are made from real human hair, they were expensive and I want to have them for a long time also without distroying them. Stuff I finally got done with!